Z Prep! 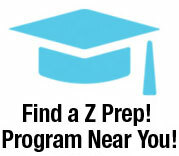 Test Prep Programs are based on our Club Z! proven one-on-one, in home tutoring model that has helped thousands of students nationwide for over a decade to improve grades, strengthen learning skills, make long term academic gains, and improve attitudes. Our programs focus on the individual student and provide a one-on-one tutor match that creates are effective learning situation for longer-lasting, better and faster results. Our test prep services are available in locations throughout the U.S. and Canada, in home and also available online for your convenience. Whether applied to test prep for the SAT, ACT, PSAT, SSAT or ISEE, GMAT or LSAT, the impact of our programs is clear – students experience the difference and their higher test scores prove it. Z Prep! offers test preparation courses for nearly all standardized secondary school and college entrance exams. Our test prep programs use proprietary and proven test prep study guides as well as practice exams, diagnostics materials and practice problems which are developed from the actual exams. The courses combine one on one instruction with guided homework assignments as well as at least one full practice exam conducted under exam conditions so that the student feels prepared and comfortable with the format on exam day. Z Prep! tutors are experienced, degreed and qualified teachers or professionals who are thoroughly screened and background checked before they go to work for us. While our tutors are teachers and other educators, how do we know that they are qualified to tutor a particular exam? Well, we require that our tutors must have scored within the top 5% on the exam they are teaching, proving to us that they have mastered the material and exam format for themselves. Their teaching style is important, too and is matched carefully to the student. Indeed, each student and tutor are individually matched in order to optimize the effectiveness of the program. The match is based on the particular exam, teaching style, student grade level/academic background, location, schedule and the student’s learning style. We’re so confident that our tutor will be a great match for you or your student that we guarantee the match. If you are not happy with your tutor match, just let us know and we’ll replace the tutor immediately. Z Prep! is different from the test prep firms who conduct classes and small group test prep, or make you go to their tutoring centers to work with whatever tutor is on duty at the time. Our program is build around you and your needs. Can only meet on Tuesdays? No problem. Want to meet at your office or the library? No problem. Need extra coaching on math? No problem. Not happy with your first try and want to take a second practice exam? No problem. Our program is flexible so you can learn on your terms, in your own way, and accomplish your goals while meeting all your other commitments at work, at home or in school. And, since every student is different, our results show that this approach works. We’ve learned that individual coaching can create a unique approach to learning that is not available in a classroom. Relax and let Z Prep! 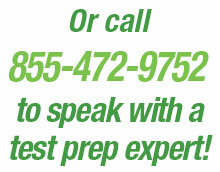 help you with your test prep. When you get your test scores back, you’ll be glad you did!